Всем привет. Может ли кто то скинуть мне файл? Лежит он по пути - X:\Program Files (x86)\Resident Evil 4 HD\BIO4\text, с названием - ENGLISH_WIN32.DCT. А то сидел, ковырял файлы, на предмет перевода игры. И что то накосячил, буду очень вам благодарен. Может кто нибуть поделится таблеткой от 3DM? вроде все нормально, но управление камерой (полностью свободное только в режиме прицеливания) не радует. Никак. В этой игре не предусмотренно стрейфиться. HyperXGamer, а для того чтобы еще вверх и вниз смотреть можно было сделать? HyperXGamer, а можно ли сделать чтобы ещё во время ходьбы персонаж мышкой поворачивался а не клавишами? С русификатором совсем дело туго? Пойди и почитай тему на зоге. •	Removed mouse acceleration from Keyboard & Mouse controller setup screen. ˇ°AIM MODEˇ± option is now present instead, and mouse sensitivity settings have been re-tuned to accommodate new setting. •	Users can now choose between two mouse control schemes: “CLASSIC” and “MODERN.” MODERN setting makes the aiming utilizing native mouse functionality while “Classic” setting retains previous calibration from the original game. •	Master volume level increased. •	Fixed ready-knife delay when using mouse and keyboard. •	Calibrated animation speed at which pottery, lamps, boxes, barrels etc. fall apart when frame rate is set to 60fps. Set pieces getting destroyed during cutscenes such as the castle gate and gazebo have also been recalibrated. •	Fixed an issue with the character performing quick turns when pressing aim while turning. •	Reduced possible audio desynchronization during cutscenes. •	Fixed flickering or prolonged black screen during active gameplay on the Water level in Mercenaries Mode. •	Fixed problem with Krauser’s bow in Mercenaries Mode Castle level. •	Fixed problem with enemies not spawning (Garrador, Leader Cultist etc.) in Mercenaries Mode Castle Level. •	Fixed the speed at which hens lay eggs when frame rate is set to 60fps. •	Removed green flashing screen that appeared after pre-rendered cutscenes. •	Fixed LeonˇŻs distorted voice when roundhouse-kicking Verdugo while heˇŻs frozen. •	Fixed flickering in the first custscene of chapter 5-1. •	Mine cart QTE difficulty reduced for PRO level difficulty. •	Restored the blue light bloom effect from the merchant’s torch. •	Leon’s handgun texture turns black shortly after the cabin cutscene. We just updated the beta patch to version 1.0.2. Just a few small fixes that were caught shortly after the 1.0.1 release which some have reported here already. You will need to quit the game completely and wait for the 1.0.2 patch to download. As with previous beta updates, version number is visible at the lower right corner of the title screen. Please continue to report any oddities or bugs you encounter. It would also be helpful if you can note the patch version number with your post. Previous Known Issues from version 1.0.1 and before are still unfixed at this time. Не знал что есть бета патч, подожду лучше нормальный патч и русик. Оказывается что бы в стиме скачался бета патч нужно код вести. Type RE4BETAoptin (case-sensitive) in the 'Enter beta access code' field and then click CHECK CODE. Now, select "beta-public – 1.0.1" from the pull-down menu and click CLOSE. 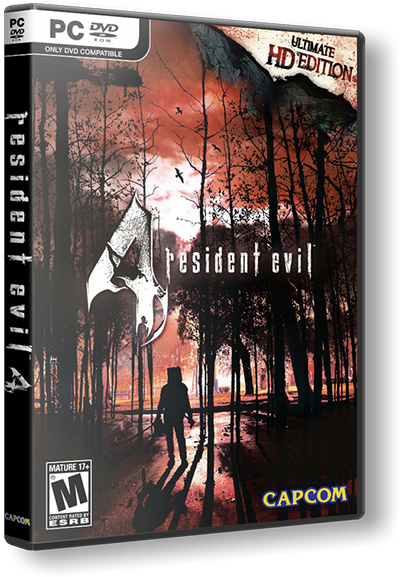 Launch Resident Evil 4 / Biohazard 4 and verify that 1.0.1 is visible on the bottom right section of the ‘Press any key’ title screen. то есть смысл ставить бета патч,или лучше подождать второй? или это фикс 1? Не в одной версии игры (Separate ways), роликов в реал-тайме не было. Не в одной версии игры, роликов в реал-тайме не было. PagaN, На Wii, CG, HD версии был реалтайм. на PS2 как раз таки пре-рендер. Умные люди оттуда с пиратки ролики рипали с озвучкой на уровне ТВ3. В GameCube версии доополнительного сценария за Аду вообще не было, соответственно, не было и роликов. А в PS2 версии ролики были заранее отписаны. Поэтому я еще раз повторяю: Ни в одной версии, сценарий за Аду не содержал роликов на движке игры.